Spending the Evening with fellow housewives Krissy Marsh, Matty Samaei and Victoria Rees at The Book of Mormon Premiere! Such an incredible show - and fun night out! I was wearing an old Stella McCartney Python Print Shift Dress which I've had for years! Last weekend we celebrated Adam and Neve's birthdays! I am such a lucky wife and mother to have those two in my life! We celebrated with a Hawaiian Luau themed pool party for Neve's birthday which we were so happy to have Adam home for! I saw this quote and it made me smile. Do you remember when you were a kid and you'd hate getting into your pyjamas (because it meant bedtime was soon)?! 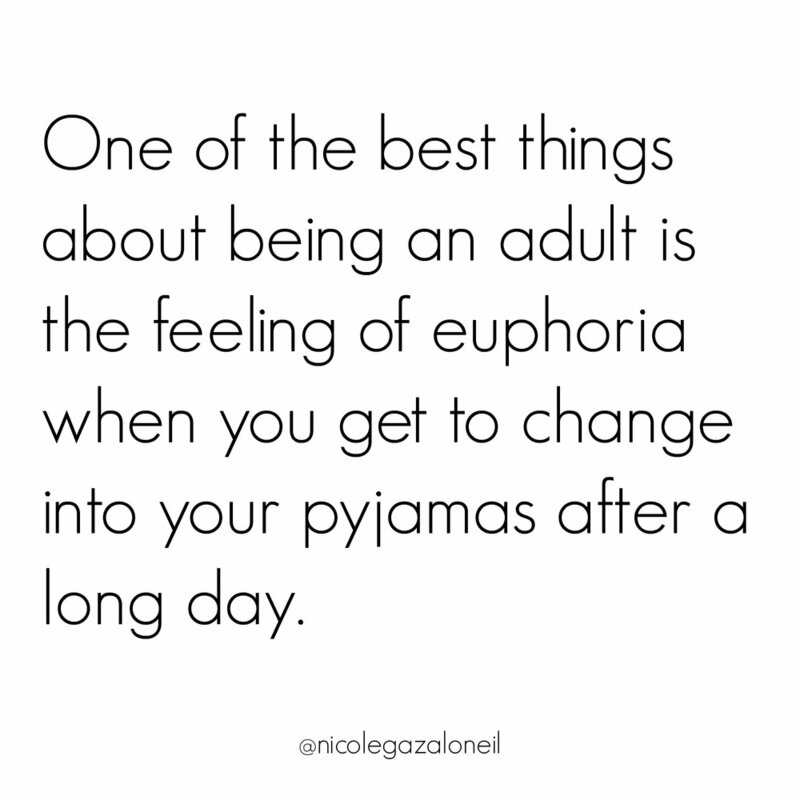 I feel like you grow up and realise that pyjamas are the best thing ever because it means bedtime is soon. There is nothing better than getting into comfy clothes after a long day!